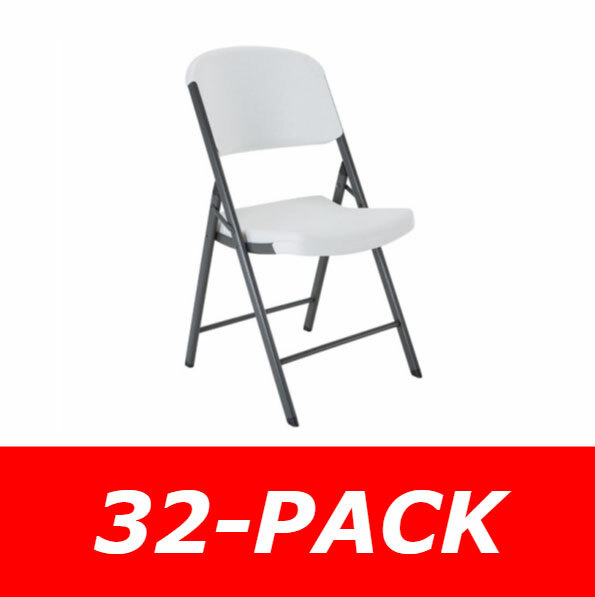 Lifetime Folding Chairs have a lightweight, high-density polyethylene seat and back. Wider seat and taller back provide ergonomic support, while oval tubing increases strength and stability. Exceeds Commercial and Institutional Standards (BIFMA). 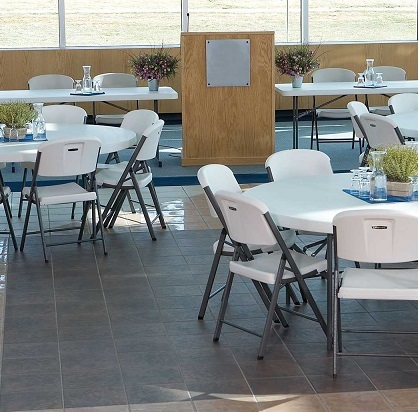 Chair is contoured for comfort and designed for durability. Easy to clean and can be used indoors or out. Oval Tubing for Increased Strength. Non-Marring Leg Caps insert directly into the tubing, safeguarding against metal-to-floor contact. Great for Camping, Boating, Fishing, Picnics, Sporting Events, Recreational Activities and More! Folded Dimensions 18.5" Wide x 43.75" High x 7.75 Thick. Folded-Out Dimensions 18.5" Wide x 34" High. Footprint Measurements 18.5" W x 20" D. Seat Measurement 16.75" W x 17" D. Back Rest Measurement 18.5" W x 11.5" H.
Ten-year Manufacturer Warranty on Life time chairs. 2,000 lb Weight Capacity Evenly Distributed. Steel Legs 19 mm x 34 mm. Light Weight 36 lbs can be moved by one adult. Exceeds international commercial standards (BIFMA). Works with 80339 Storage Cart. Used and Recommended for Party Rentals. 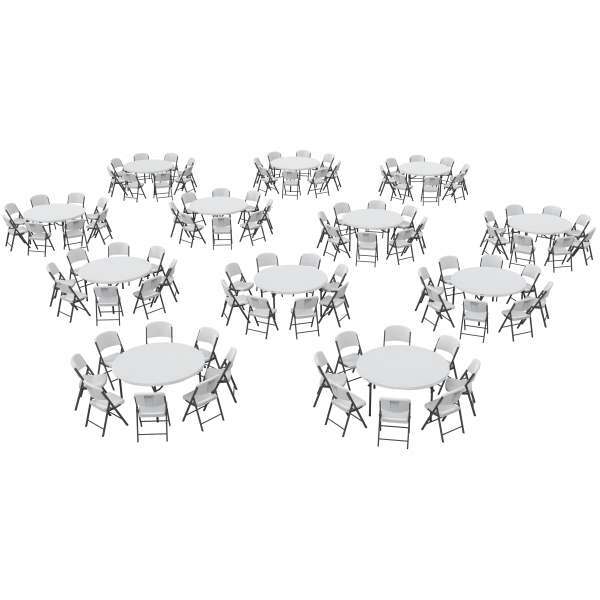 Q: What if I need a few extra tables or chairs? How do I find the single or four packs for those on your site? 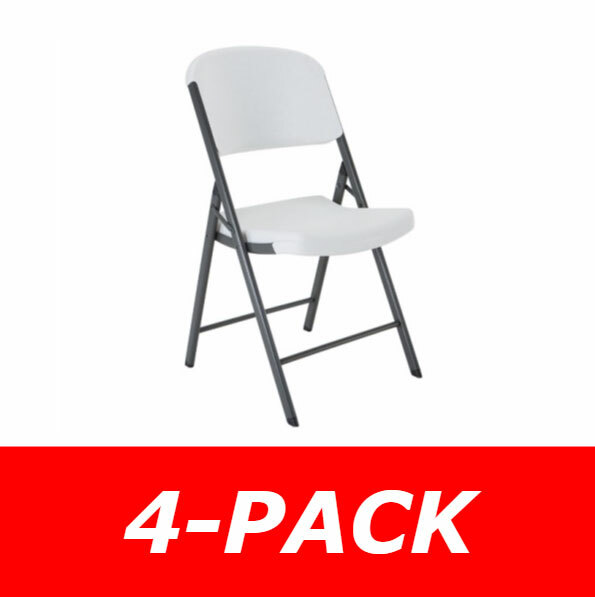 A: You can always buy more chairs in the 4 pack if you search our site for 42804 or more tables searching for 80301. 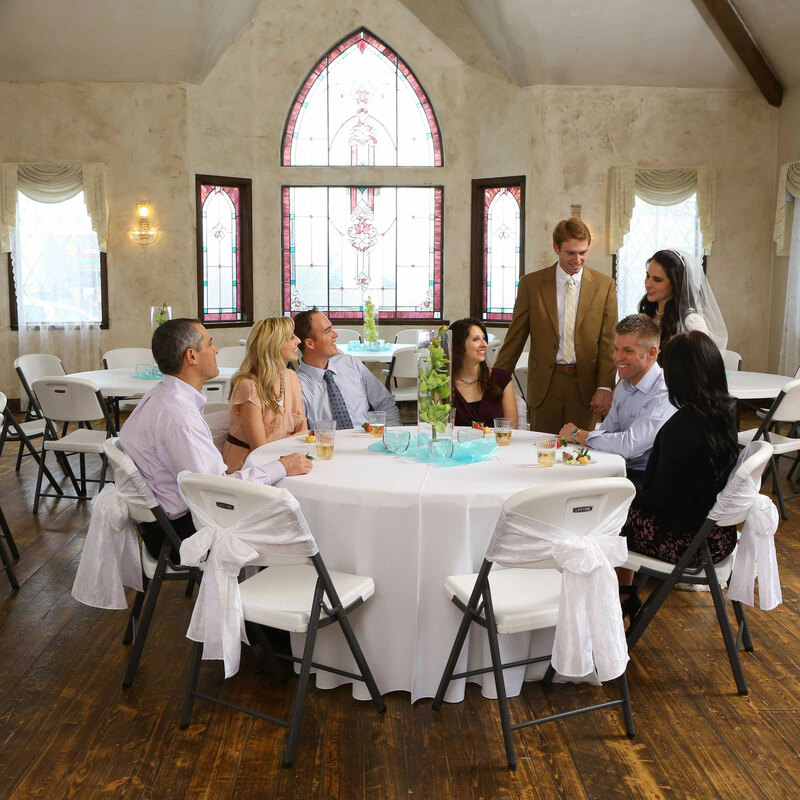 A: These tables and chairs have a 10 year commercial warranty. Feel free to contact us with any other questions. 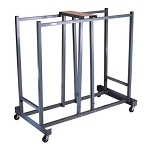 Fast Shipping: Orders for the 80542 Table and Chair Package generally leave the warehouse the next business day. Dimensions: 96" x 65" x 43"